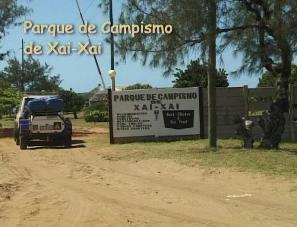 Praia do Xai-Xai is approximately 10 km from the town of Xai-Xai and 220 km from Maputo. The massive reef running parallel to the beach provides natural protection against the strong waves at high tide and forms several small pools at low tide. The spectacular Chongoene reef, which is approximately 70 meters offshore and 3 km long, offers safe swimming and serves as a platform for reef and game fishing. Chongoene, which is adjacent to Xai-Xai, is known worldwide for its huge barracuda catches as well as a great variety of other game fish. The coral reefs are wonderful and will introduce you to the untouched wonders of Africa's East Coast marine life, either through scuba diving or snorkeling. Chongoene Holiday Resort offers 2, 4 and 8 bed self-catering log cabins high on the dunes within the coastal forest overlooking the spectacular bay and reef. The campsite is set right on the beachfront amongst shady trees. Some of the camp sites offer barracas which can be used either as a kitchen or lounge area. Hot and cold water ablution facilities with flush toilets are available. Adjacent to Hotel Halley, the campsite of Praia do Xai-Xai is situated right on the beach amongst shady trees. The campsite offers a restaurant and bar area, where you can enjoy peri-peri chicken or watch the latest sport event via satellite TV. Basic 4 and 2 bedded reed huts; all with single beds are on offer. Guests must use the central ablutions in the campsite. A central braai and wash up area is located amongst the reed huts. The camp also boasts one en-suite fully equipped self-catering chalet. 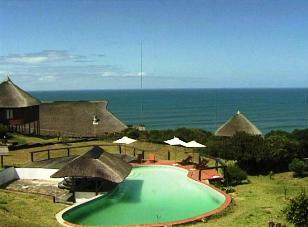 High on the dunes between Xai-Xai and Praia de Chongoene the spectacular Xai-Xai Beach hotel is situated. The hotel is constructed out of wood and thatch that blends in with its surroundings, and is build on stilts overlooking the idyllic Indian Ocean. The chalets are scattered around a fresh water pool and connected by pathways.